Two players trying to improve the user experience of connected TV and over-the-top streaming video are teaming up to bring their products to smart TVs. Samba TV’s business is built around its proprietary content recommendation engine, currently available in more than 30 million devices. 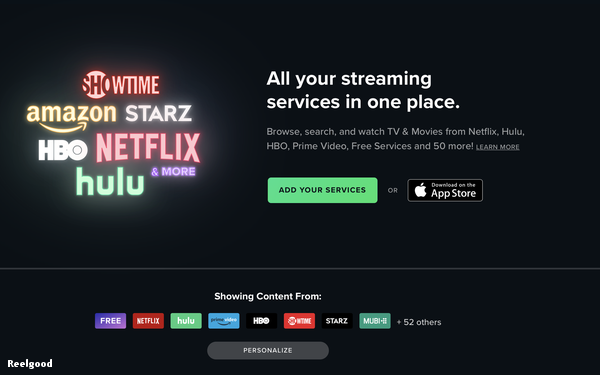 Reelgood built a single unified interface that aggregates content from all of the user’s streaming services (i.e., Netflix, HBO, Hulu), allowing them to browse and play those videos. Now, Reelgood will be bringing its interface to more than 20 million Samba-enabled smart TVs. The companies say they expect to double that number by the end of 2020. The deal will quickly bring scale to Reelgood’s product on TV screens (currently available on mobile devices and PCs), while bringing Samba’s machine learning and recommendation engine to new streaming services. Samba TV cofounder-CEO Ashwin Navin suggests the partnership could also help reduce concerns around piracy of streaming content. "Recent reports suggest that piracy is actually rising again because people find it hard to remember which streaming service has the particular show or movie you’re looking for," Navin tells Digital News Daily. "This partnership solves the issue of content and platform fragmentation, so all your favorite shows and movies will be combined into one interface." TV manufacturers continue to look for ways to improve the connected nature of their TV sets. They have been turning to third parties, such as Samba and Reelgood, to help them improve their products. Increasingly, consumers just want an easy user interface to navigate the bundle of streaming and linear video services.